If your company filed an “intent to use” application and received a “Notice of Allowance” then, congratulations, the USPTO has initially approved the application for registration and no third-parties have opposed the application during the Opposition Period. The final step is to file proof of use in the form of a ‘Statement of Use’ filing. 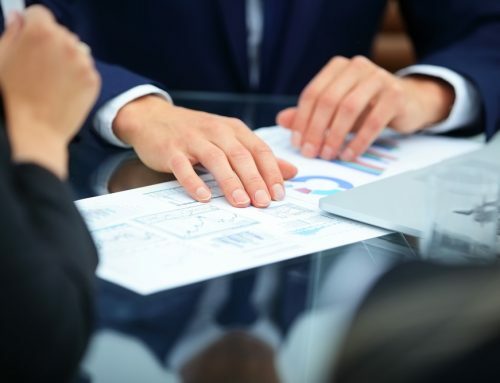 However, before your company files ‘proof of use,’ you must make sure the filing has everything it needs to properly show bona fide use in commerce under U.S. trademark law. 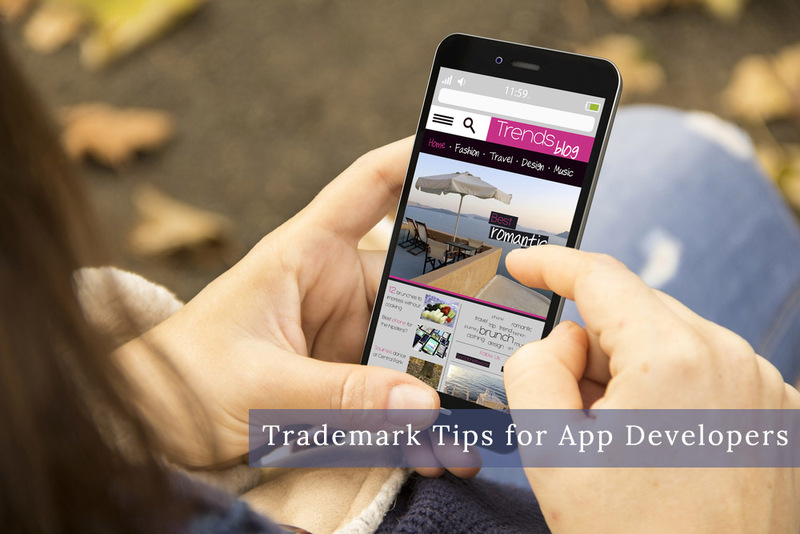 Otherwise, it may mean the invalidation of the underlying trademark application. That being said, what happens when your company files a Statement of Use and receives an Office Action that says “Specimen Required”? 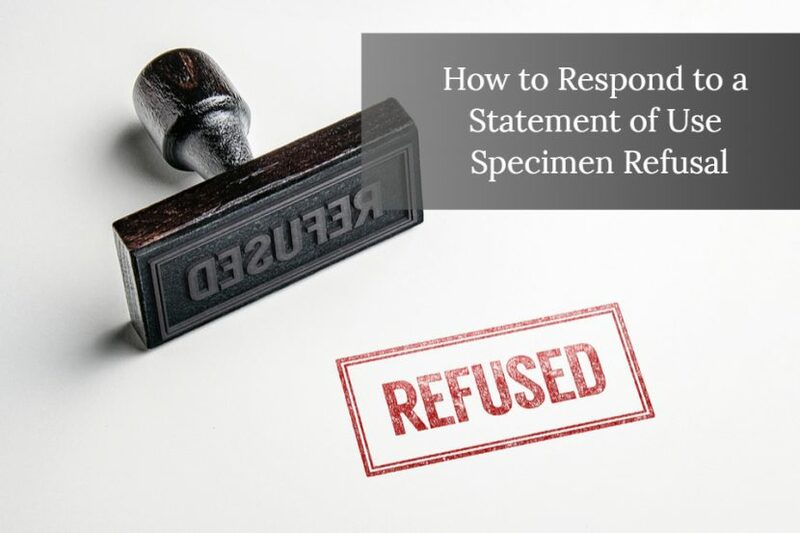 This article will provide an overview of the “improper specimen” refusal at the Statement of Use stage and provide a few criteria for when your application may be salvageable or when refiling is the only safe answer. As a reminder, each applicant’s situation is different and there is no one-size-fits-all approach to responding to an Office Action. This is not meant to be legal advice for your specific situation. Always contact a lawyer before making legal decisions. Registration is refused because the webpage specimen is not an acceptable display associated with the goods and appears to be mere advertising material. See TMEP §904.07(a). The specimen, thus, fails to show the applied-for mark in use in commerce. Trademark Act Sections 1 and 45, 15 U.S.C. §§1051, 1127; 37 C.F.R. §2.56(a). If an applicant receives this notice, they will have several options. However, one thing an applicant cannot do is withdraw a Statement of Use, so it is crucial for the filer to analyze whether the specimen is sufficient before making a filing that cannot be withdrawn. See 37 C.F.R. §2.88(f); TMEP §1109.17. The first thing an applicant should do is check the “Notice of Allowance” date. To do this, applicant should go to tmsearch.uspto.gov and search for their trademark, or enter their serial number into tsdr.uspto.gov to pull up the Trademark Status & Document Retrieval (TSDR) record. Next go to the Documents tab and identify the date of the Notice of Allowance. Add six months to that date. In the above example, the deadline would be October 10, 2018. If the applicant has filed any extensions, add 6 more months for each extension filed. This is the final due date for the Notice of Allowance. If the applicant receives the Office Action specimen refusal before this date, they should immediately file an “insurance” extension or speak to an attorney who can make this filing before the deadline. An “insurance” extension is a one-time extension to give applicant’s more time to cure possible defects in the application including specimen refusals. 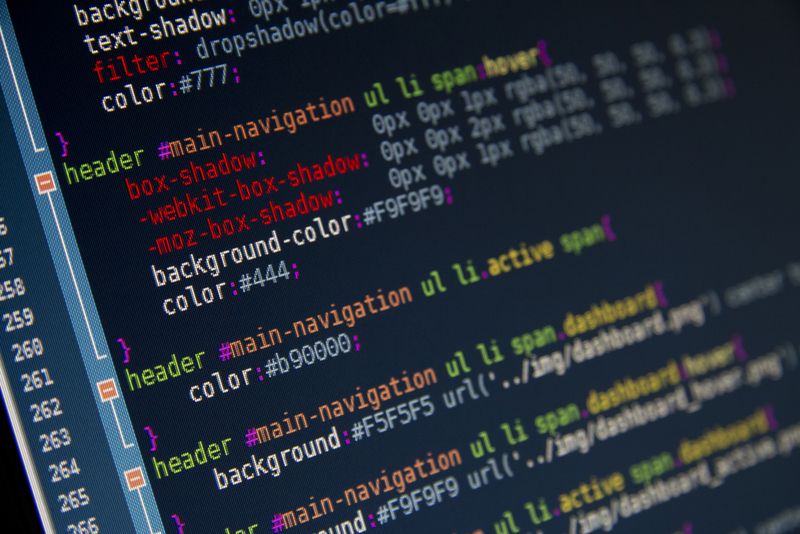 By filing an insurance extension, applicant is given the chance to amend their packaging, websites, or other specimens to meet the USPTO’s standards and re-file their Statement of Use filing. If the new filing meets the USPTO’s requirement, the application will proceed to registration. Example: XY Corp. is issued a Notice of Allowance for their COOL WOW! 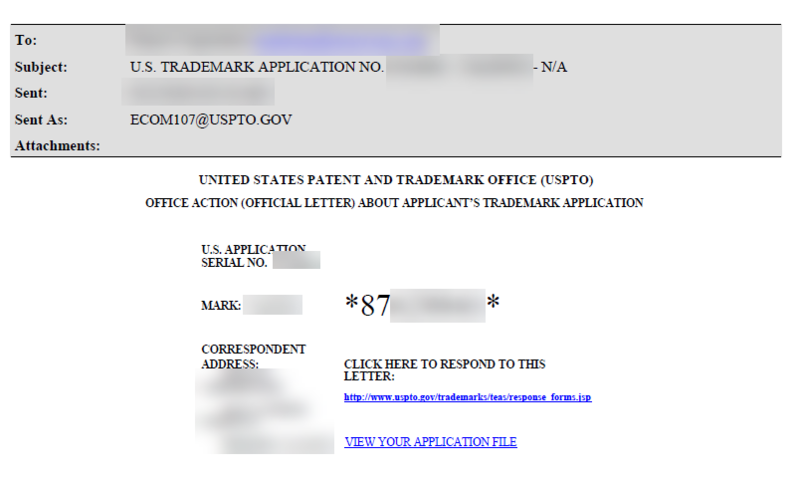 Trademark on July 1, 2018. On September 1, 2018, XY Corp. submits a Statement of Use with a picture of a product that did not meet the standards of the USPTO. XY Corp. receives an Office Action from the USPTO on November 1, 2018. 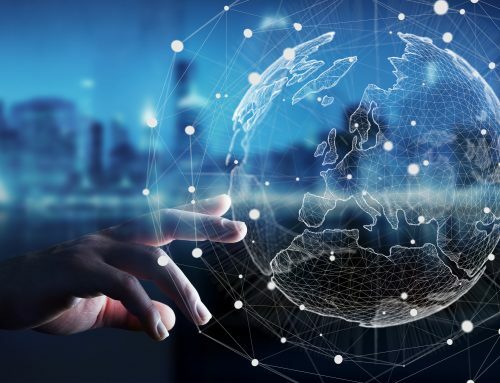 It can file for an ‘insurance’ extension, giving it until July 1, 2019 to fix the issue and provide the USPTO with new specimens showing the trademark properly used in commerce in the United States. Two. If the deadline to file the Statement of Use has passed, know your options and know the requirements. If applicant is out of time and cannot file an insurance extension, there is still options, but they are more limited. There might be options and time is likely running out. After the deadline, applicants will no longer be able to change their products, product packaging, website, or other specimens to meet the requirements. Applicants will only be able to submit specimens that otherwise existed before the filing deadline for the Statement of Use. If an applicant is out of time, the goods news is that specimens can take many different forms. If the application is for services and the applicant submitted a business card that did not properly identify the specific services, they can submit their website or any other advertisements (as long as they were using it before the Notice of Allowance due date). If it was an application for a product and the applicant submitted a website showing the product’s features, but not the product itself, then the applicant may file a photograph of the product or the product’s packaging. The applicant may, in some circumstances, submit a retail website where the product is being sold. 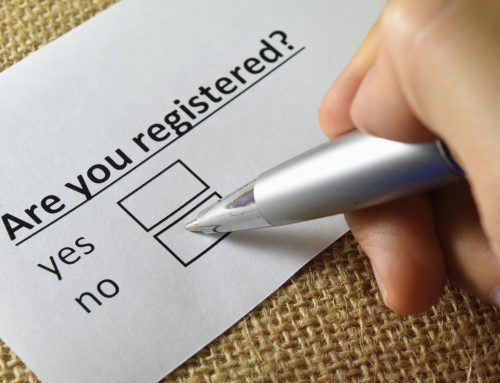 There are a few different options based on how the applicant was using the mark before filing a Statement of Use that could make the refusal easy to work around. Example: Hashtagged Inc. files a Statement of Use using a screenshot of a product review blog post for its WEARFORCE1 shoes as a specimen. The USPTO examining attorney refuses the ‘proof of use’ and issued a specimen refusal. Hashtagged Inc. may submit a shoebox that was used before the Statement of Use due date. Example: PoundSigned Inc. files a Statement of Use using a screenshot of a picture of its HAIRFORCE1 hats as a specimen showing a new HAIRFORCE1 logo. However, the trademark PoundSigned Inc. applied for was a different logo that PoundSigned Inc. had not yet put on any of their packaging or used elsewhere. The USPTO examining attorney refuses the ‘proof of use’ and issued a specimen refusal. PoundSigned Inc. cannot produce new hats or add a tag or hangtag to its existing hats and resubmit unless those new hats were sold on or before the Statement of Use due date. Three. Don’t Submit a False Statement. Specimens can be tricky and can differ wildly depending on the goods and services in an application. However, if the applicant has discussed options with an attorney and no proper specimen can be provided, then the only choice is to re-apply, which unfortunately means, starting from scratch. If this statement is untrue and an applicant knowingly signs the false statement, then the applicant has committed fraud on the USPTO and the underlying application will always be subject to cancellation by a third-party, no matter how long it has been since the fraud took place. Why does this matter? 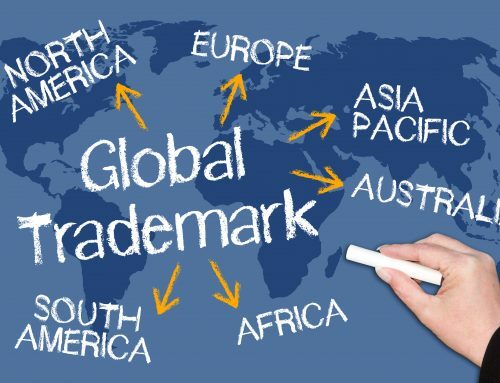 As a trademark attorney, the first thing I look for when my clients receive (or are preparing to send) an enforcement letter is whether a claimed trademark registration is valid. Enforcement matters have hinged on the validity of these trademarks and, in at least one case, I was able to cancel (or threaten to cancel) a registration that was improperly obtained. In short, applicants typically don’t know they have a problem until they need to enforce their rights. And by then, you won’t have time to fix it. Never file a false statement with the U.S. Patent and Trademark Office. Four. When in doubt, file a second application to get a new priority date. Fast action can sometimes save a trademark disaster. If the issue arises, Applicants should consider filing a new application as soon as possible to secure a new priority date. The worst-case scenario would be that a third party files a trademark application for a mark similar to the applicant’s mark and, when the applicant files an incorrect statement of use, it may lose its early filing date. This could, theoretically, not only allow the third party to proceed with its application, but also could give the new party the legal right to the trademark. By re-filing as soon as possible, the applicant can minimize any gaps in protection. If the applicant is able to resolve the issue, it can withdraw the application or allow it to abandon in due course. Example: Volcan-do Corp. files an improper specimen for its VOL-CAN trademark on January 1, 2019 and receives the Office Action response after the Statement of Use deadline has passed. Volcan-do Inc. identifies a potential issue and files a new application on February 1, 2019. A third party filed for VOLCAN for identical goods on February 2, 2019. Even if Volcan-do does not resolve the improper specimen issue, it will have a federal priority date before the new application.Example: Hurrican’t Inc. files an improper specimen for its HURRICANT trademark on January 1, 2019 and receives the Office Action response after the Statement of Use deadline has passed. A third party filed for HURRICAN’T for identical products on February 1, 2019. Hurrican’t Inc. cannot resolve the Office Action issue and re-files on February 2, 2019. It now has a later federal filing date then the new applicant and may not be able to register (or in some cases use) its planned trademark. This is the worst-case scenario and the main reason why every trademark applicant should be very careful with Statement of Use filings. There are very few parts of the trademark registration process that are less forgiving than improper Statement of Use filings. It is important for applicants to know their options and should contact an experienced attorney to discuss the options. Sometimes quick action can save a much bigger issue from occurring.